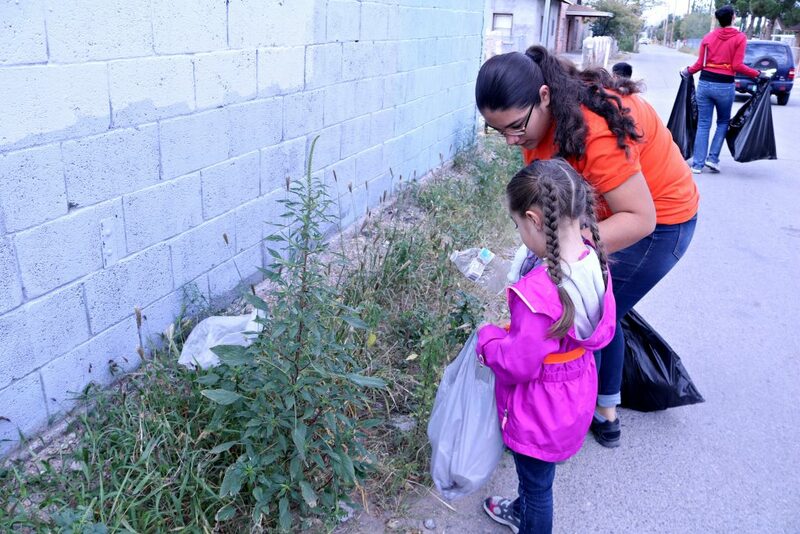 Back in July 2017, Youth Impact submitted a proposal for the 2017 Disney Summer of Service Organization Grant and was granted funds to make an impact on the community. 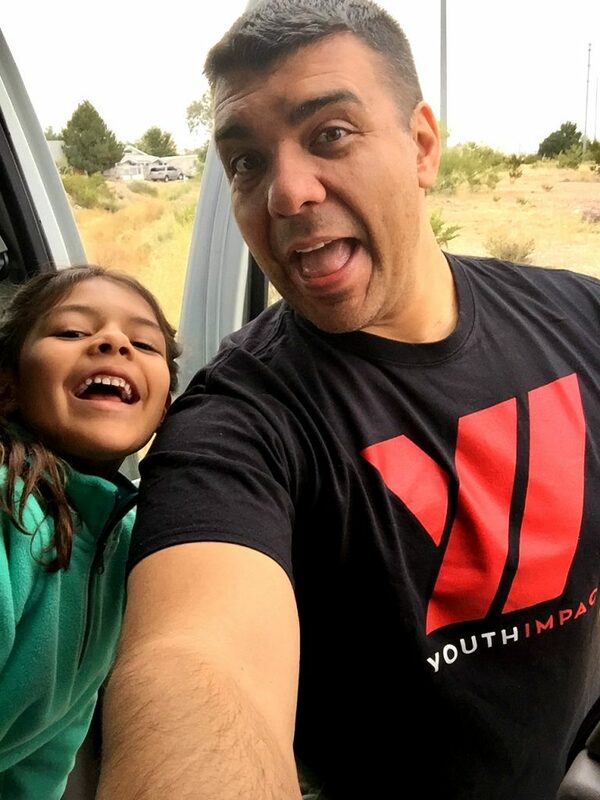 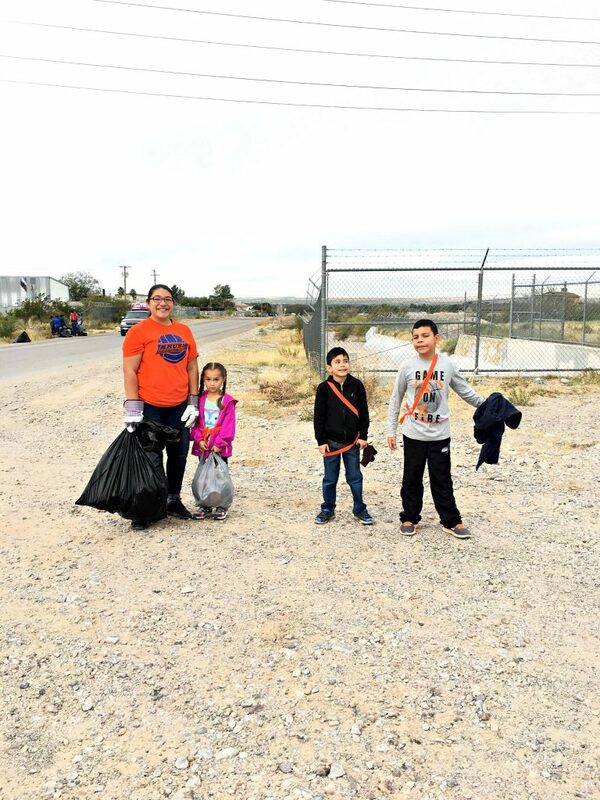 It had been one of Cesar and Lucy’s goal to involve the community and youth and do a community clean up. 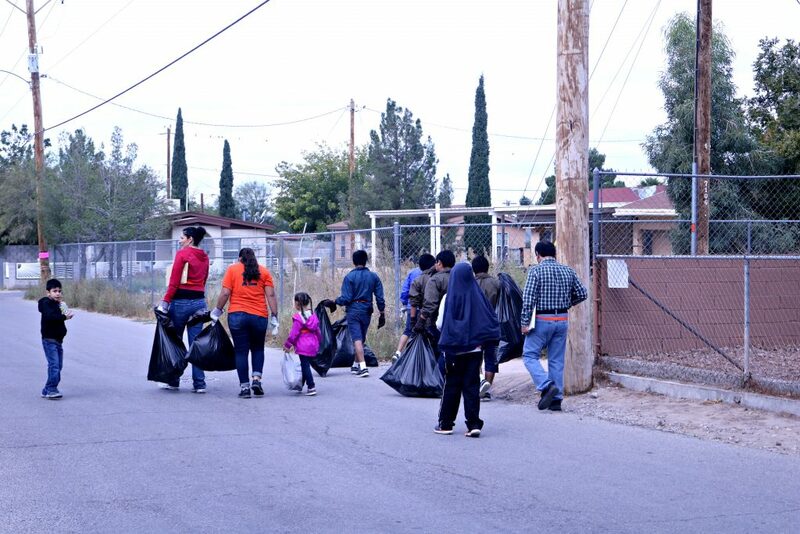 This vision became a reality today, Saturday, November 4th. 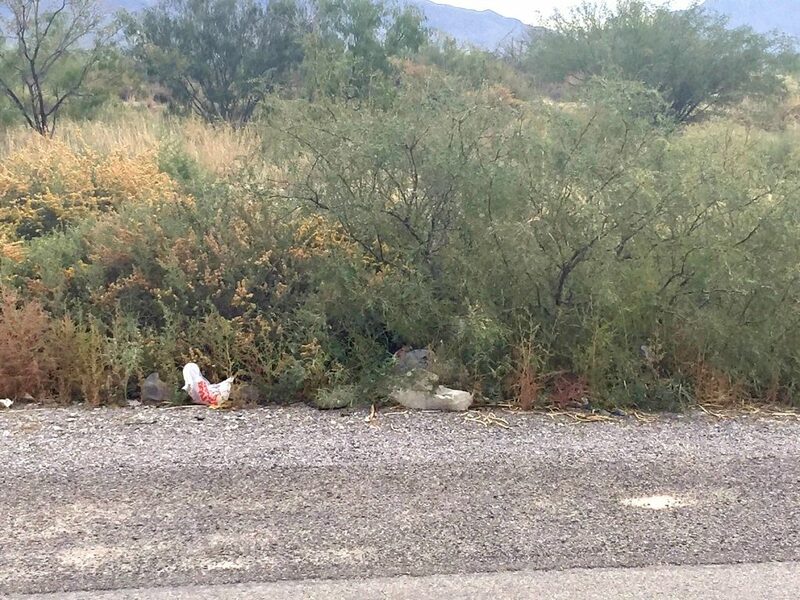 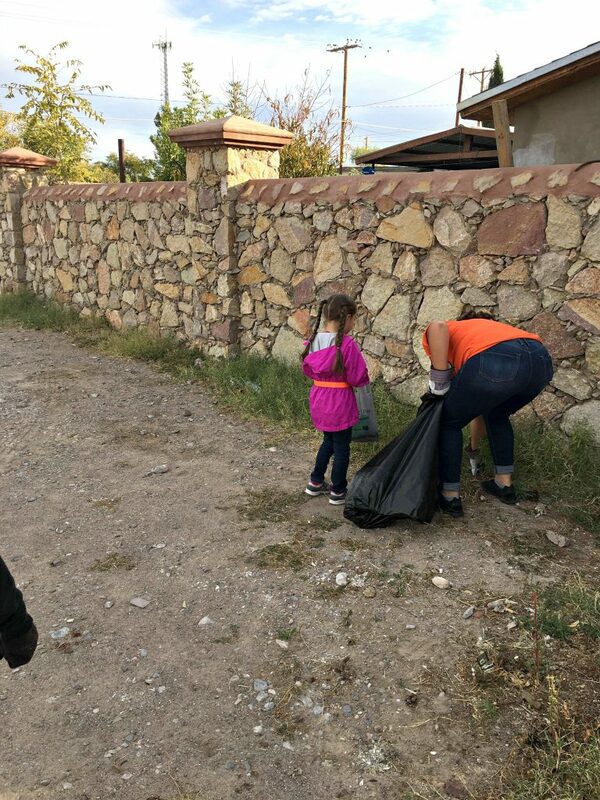 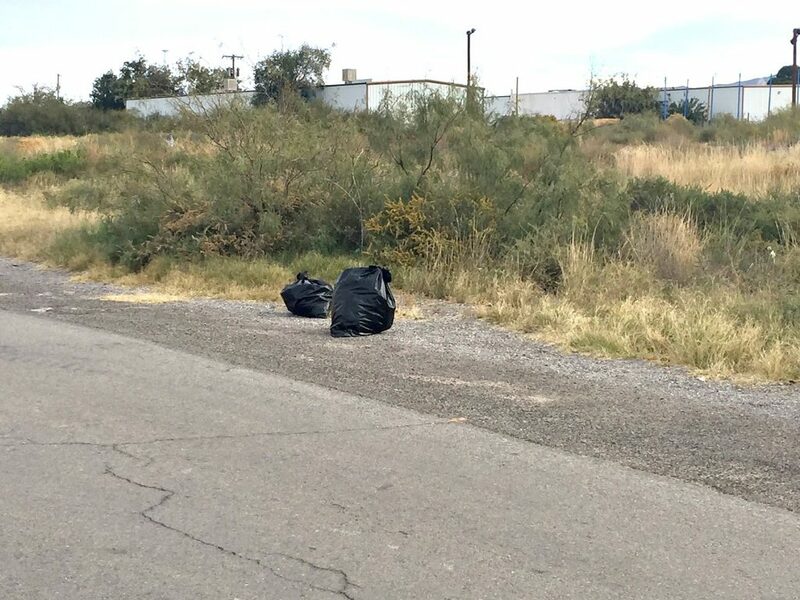 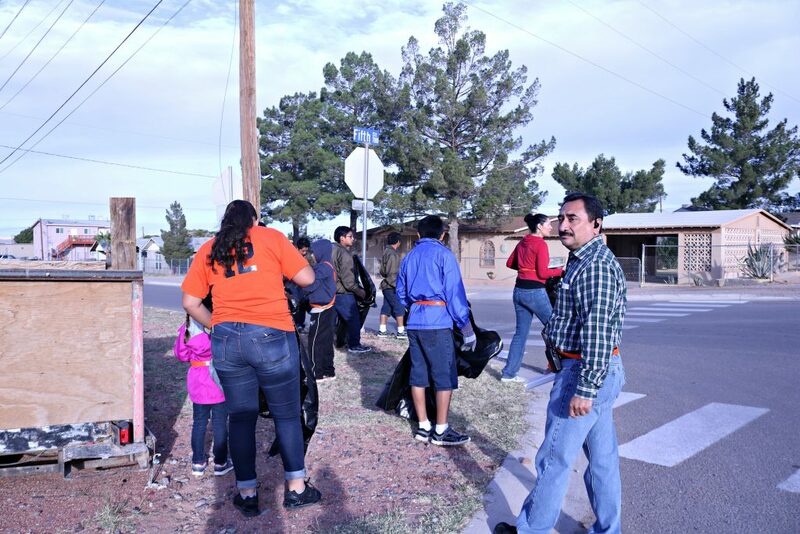 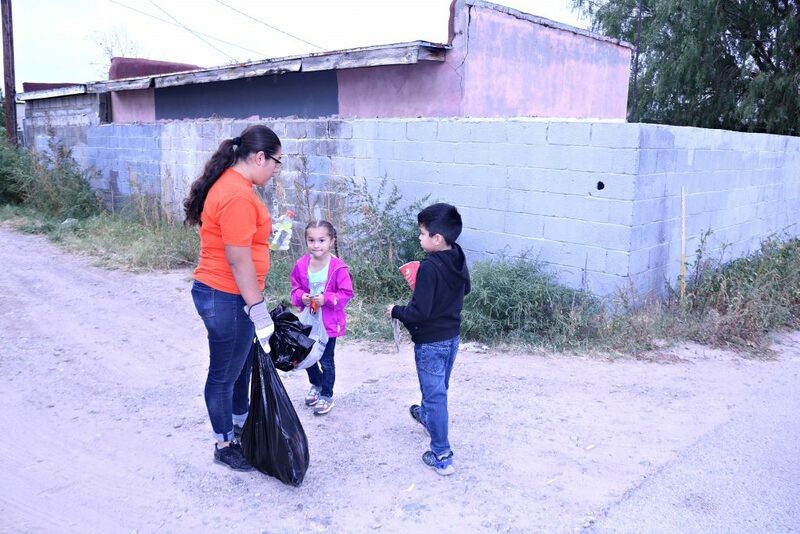 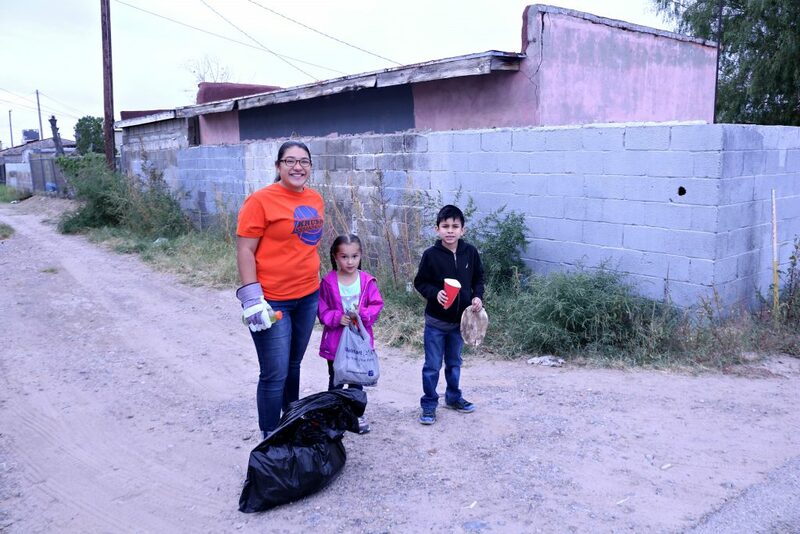 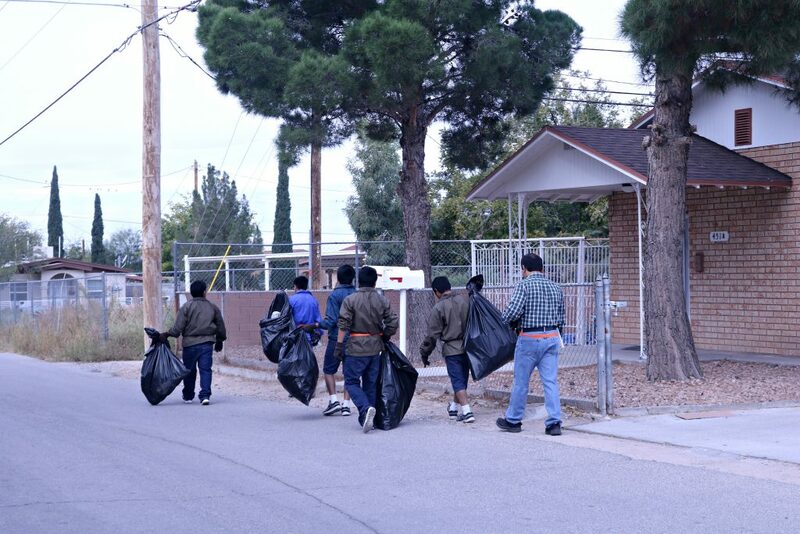 Thanks to the volunteers and help from local community members, we were able to walk the streets of Canutillo and picked up over 25 black 13 gallon sized bags of trash. 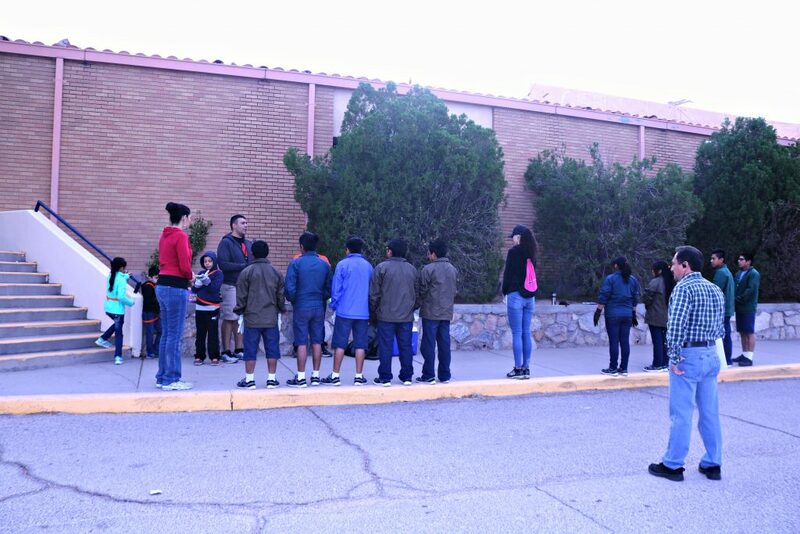 We had different areas of Canutillo for two teams. 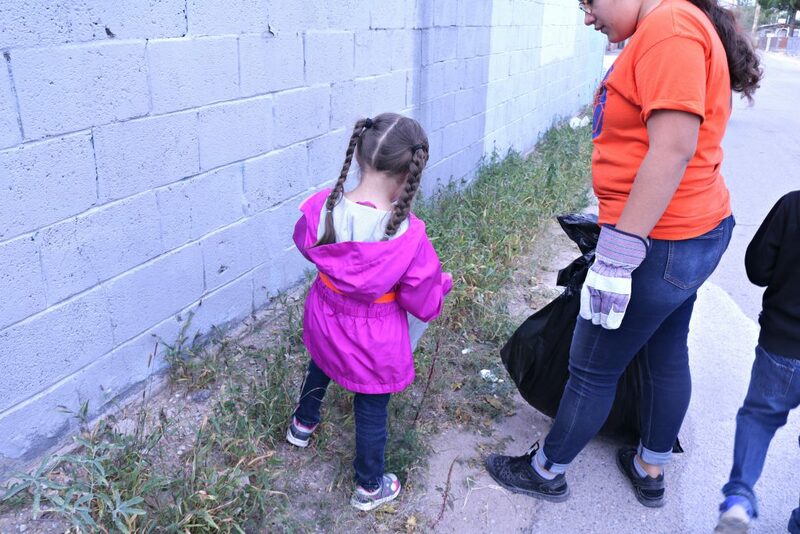 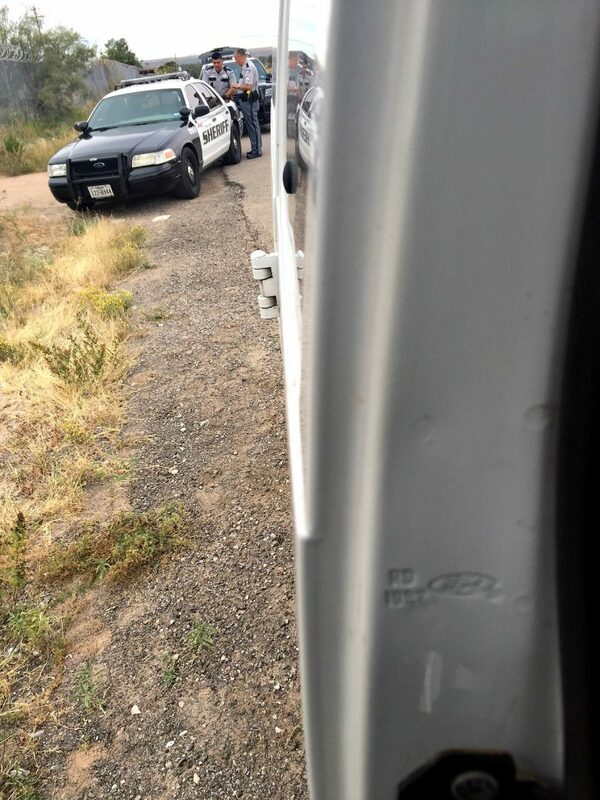 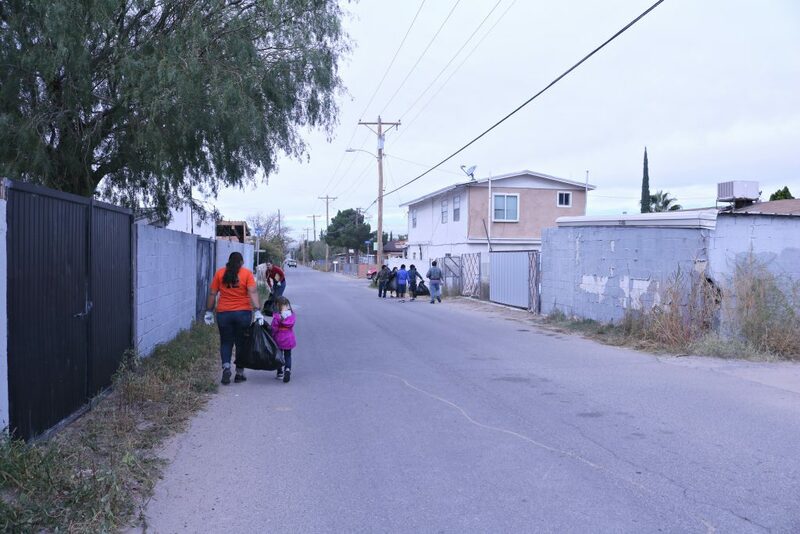 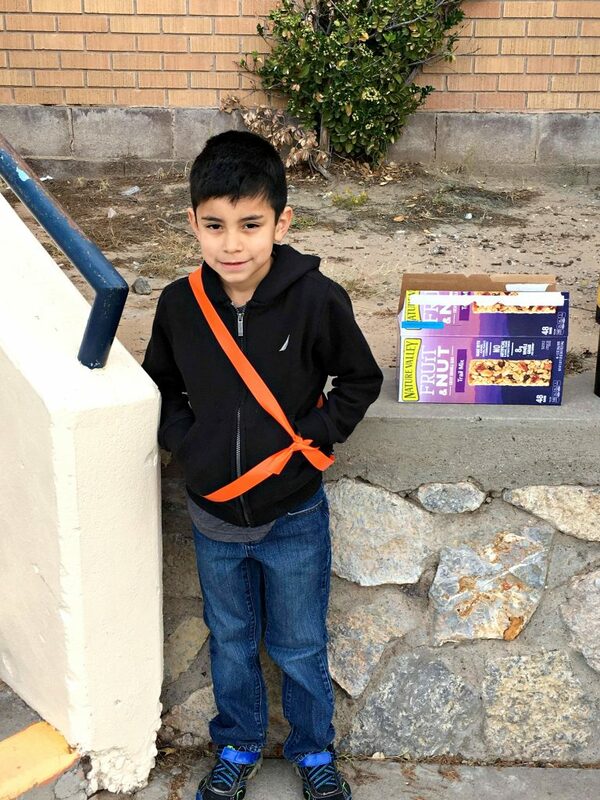 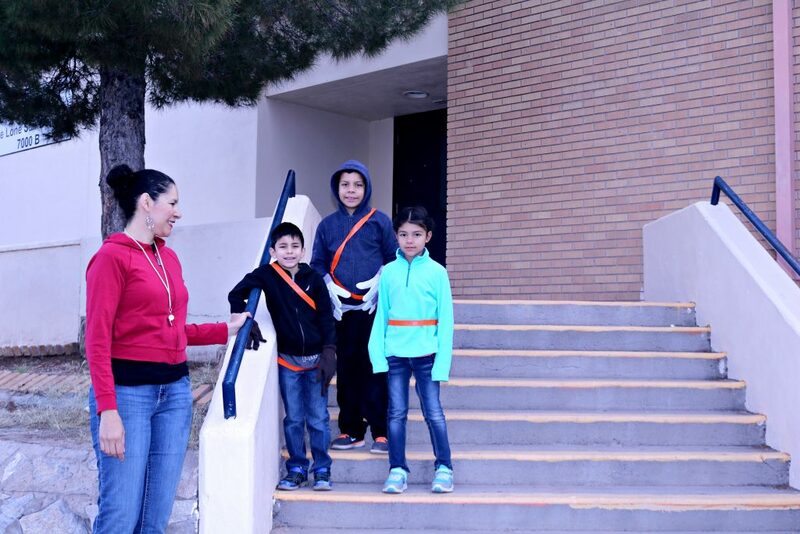 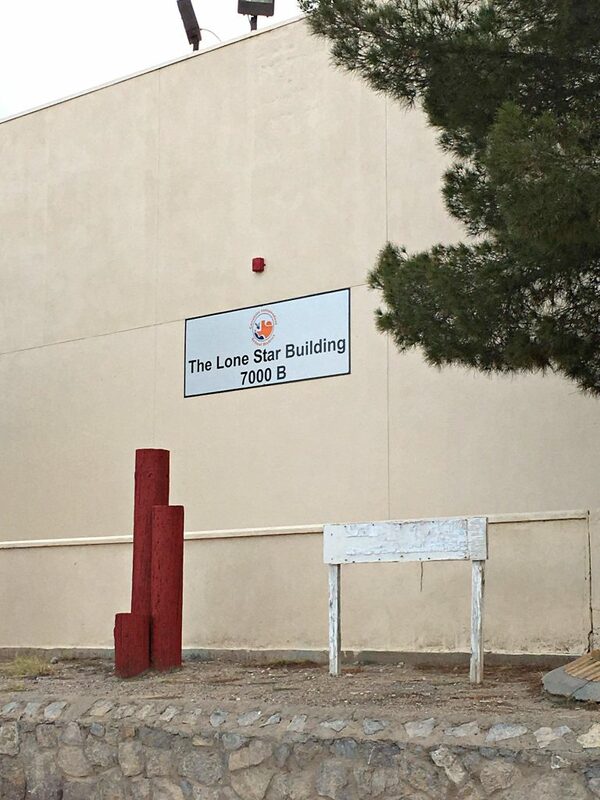 One team walked the area of the Canutillo Elementary vicinity around La Union Avenue, Fifth Street, Vinton Avenue and other surrounding streets. 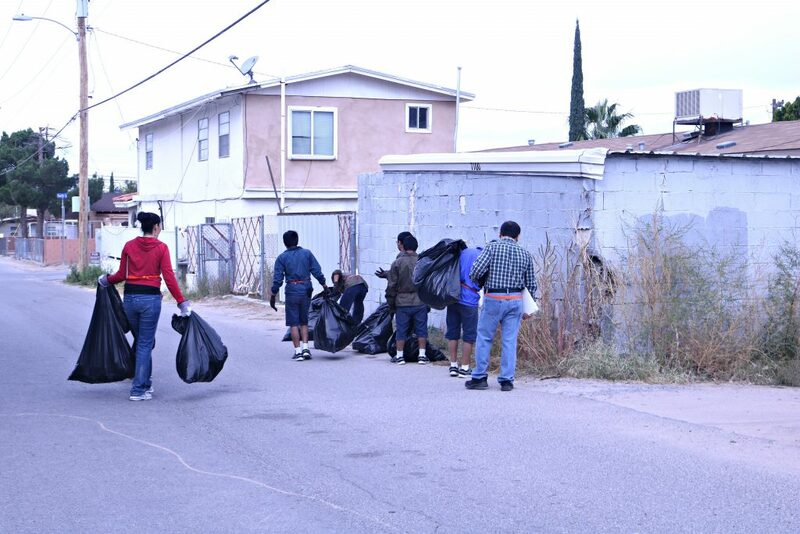 Another team walked the area behind Family Dollar and where people gather on weekends at the swap meet. 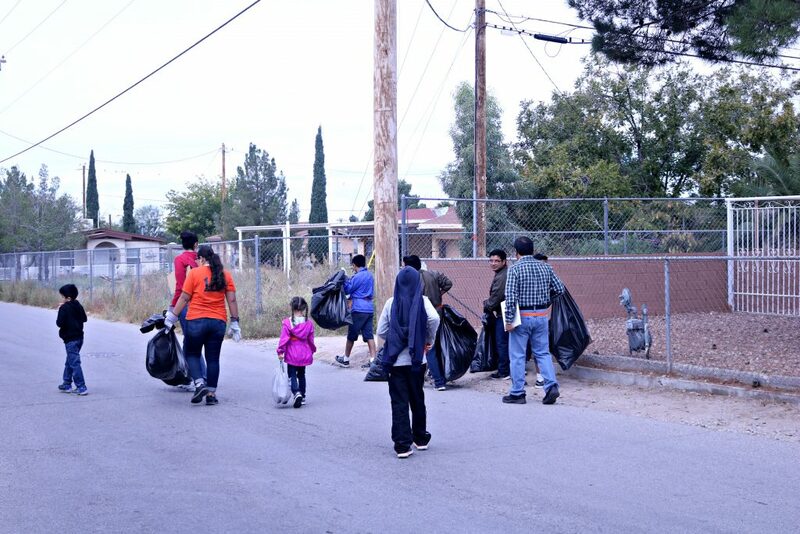 In total, we had 23 volunteers, 15 youth, and 8 adults. 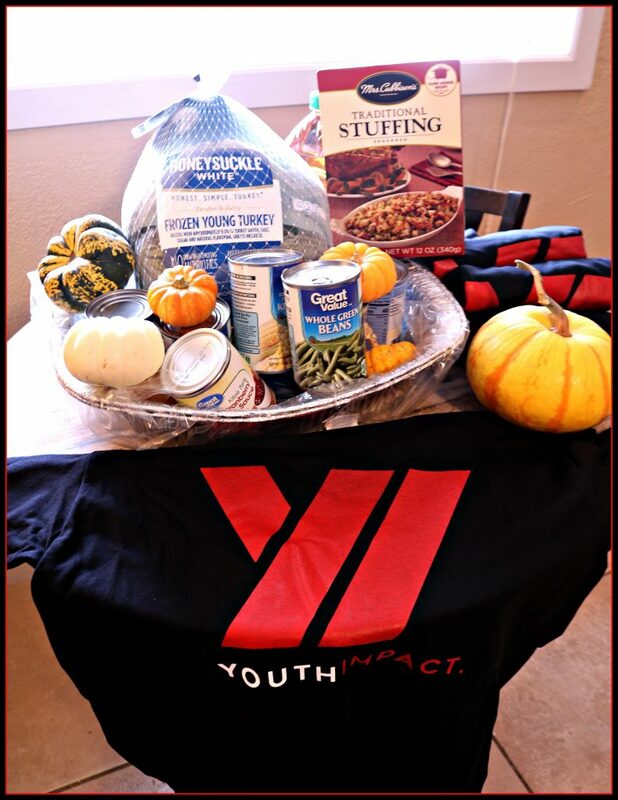 At the end of our time, we gathered back at our meeting place at the Lone Star building and raffled a Thanksgiving basket, shirts, and other goodies within our wonderful volunteers. 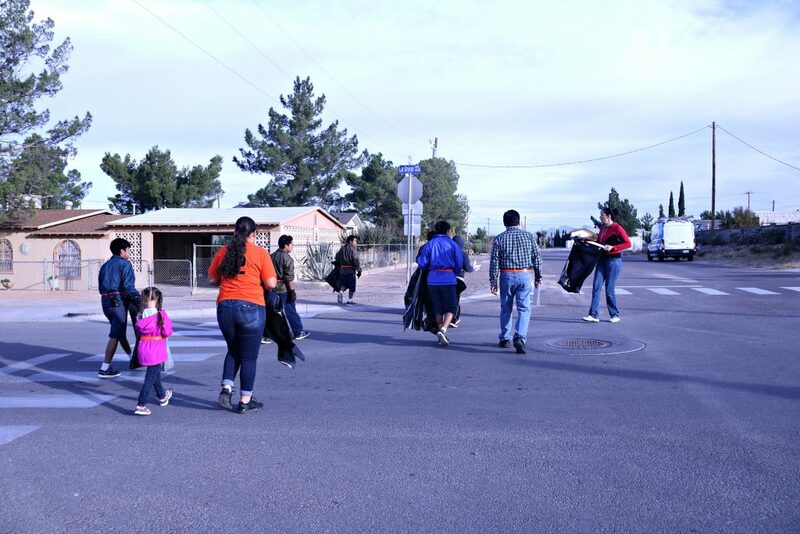 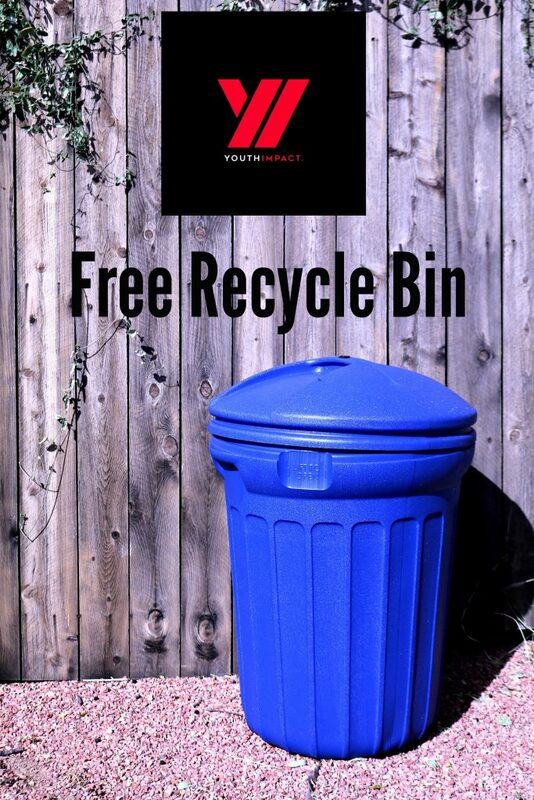 Be on the lookout for our next Clean Up event and be part of this wonderful experience! 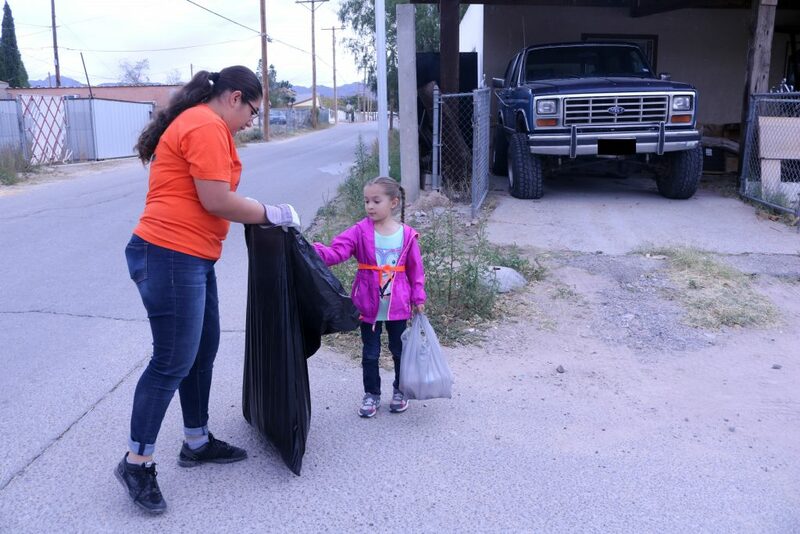 Thank you again to all our volunteers! 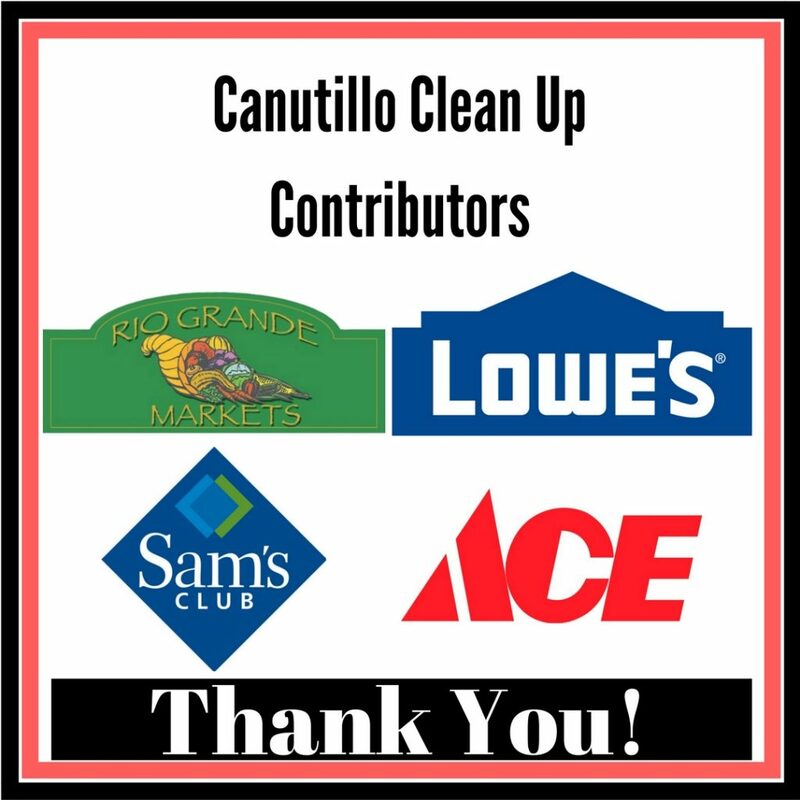 Special thanks to Disney’s YSA Grant and businesses like, ACE, Rio Grande, Sam’s Club at Northeast and Lowes. 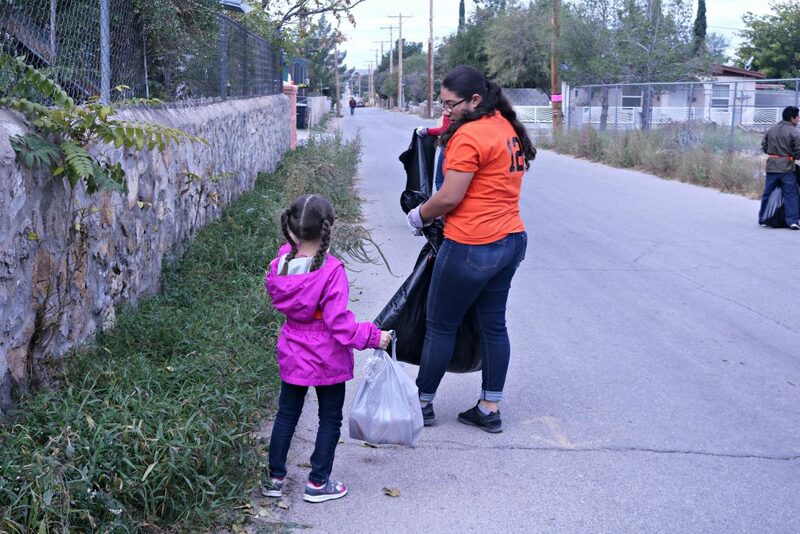 Photos from our event, enjoy!